Mississippi Roast is an incredibly easy melt-in-your-mouth way to serve a beef pot roast. This low carb version uses an easy homemade spice mixture in place of packaged ranch for max flavor without all of the additives. This easy Mississippi Pot Roast takes only about 5 minutes of prep and then cooks in the Crockpot all day until tender perfection. 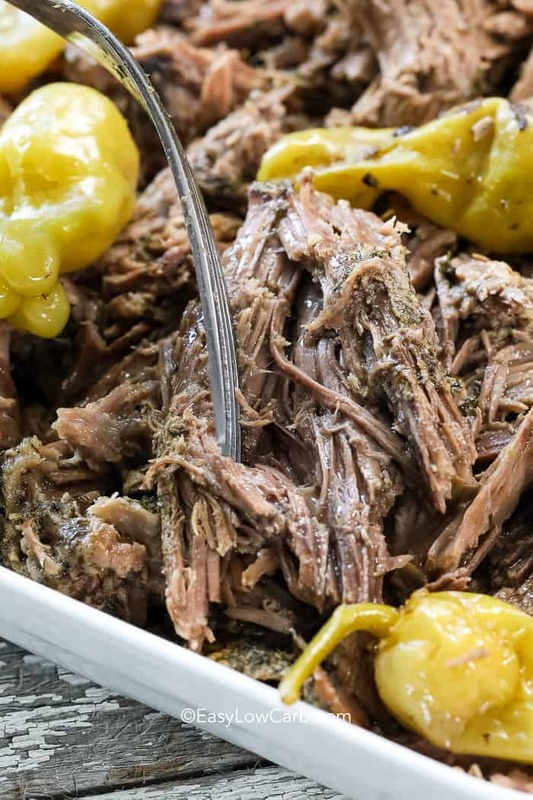 You don’t have to live in Mississippi to prepare this tasty keto slow cooker or Instant Pot recipe. Whether you use a slow cooker, a CrockPot or an Instant-Pot, the pepperoncini brine gently tenderizes the meat without tasting spicy making this Mississippi Roast melt in your mouth tender. This super simple recipe is the king (or queen!) of ‘set it and forget it.’ The result is a filling, healthy, and tasty meal that makes for great leftovers or a sandwich (on Cloud Bread)! Mississippi Roast Crockpot style takes just a couple of minutes to prepare, it’s SO easy! Combine seasonings and sprinkle over roast. Place in the slow cooker with butter and pepperoncini peppers. Cook on low 8 hours or until fork tender. 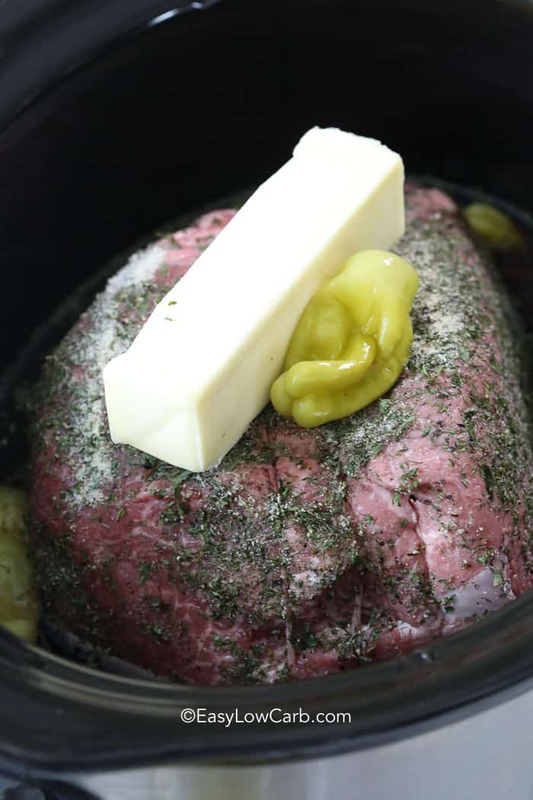 If you’re wondering what kind of roast is good for the crock pot, chuck roast is always a good choice! Can’t find the right chuck roast? Bottom round, rump roast or even a pork shoulder all take well to long, slow heating and create their own juices for flavorful gravies. The seasoning mix for this recipe is a take on my favorite homemade ranch seasoning mix. Don’t have a ton of spices in the cupboard? In a pinch, a pre-made packet of ranch dressing mix can substitute for the seasonings without the additives and carbs! 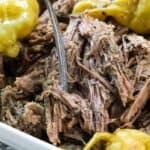 What to Serve with Mississippi Pot Roast? Use two forks to gently shred roast and serve atop vegetables with chopped chives and salt to taste. We LOVE to serve this pot roast over a bed of mashed cauliflower or Roasted Radishes and drizzle the juices over top. With such versatile cuts of meat, a slow cooker pot roast can make for a great sandwich, wrap or mixed with eggs for a protein packed breakfast or a lettuce wrap. Try it cold on a bed of salad greens with some shredded cheese and a tangy vinaigrette and you have a workday lunch that will keep you going for the rest of the day! 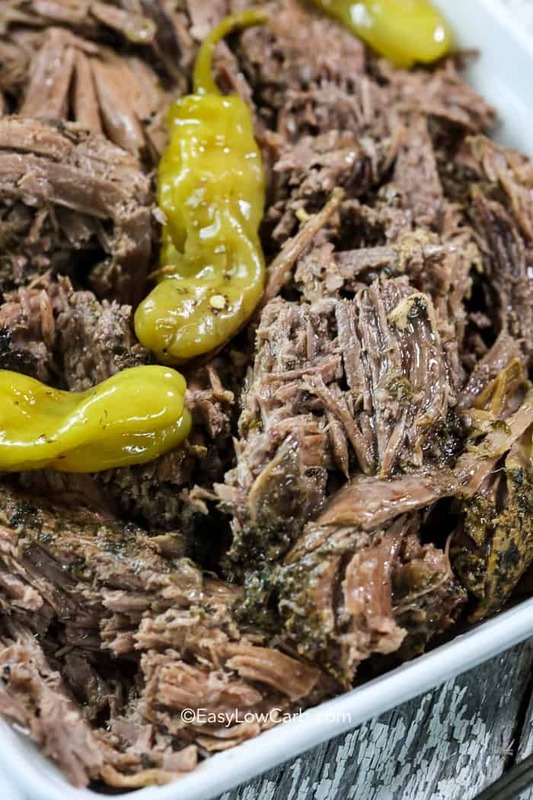 We store leftover Mississippi roast in the slow cooker for a few days. After that, we freeze any leftovers for a super quick and easy low carb lunch! 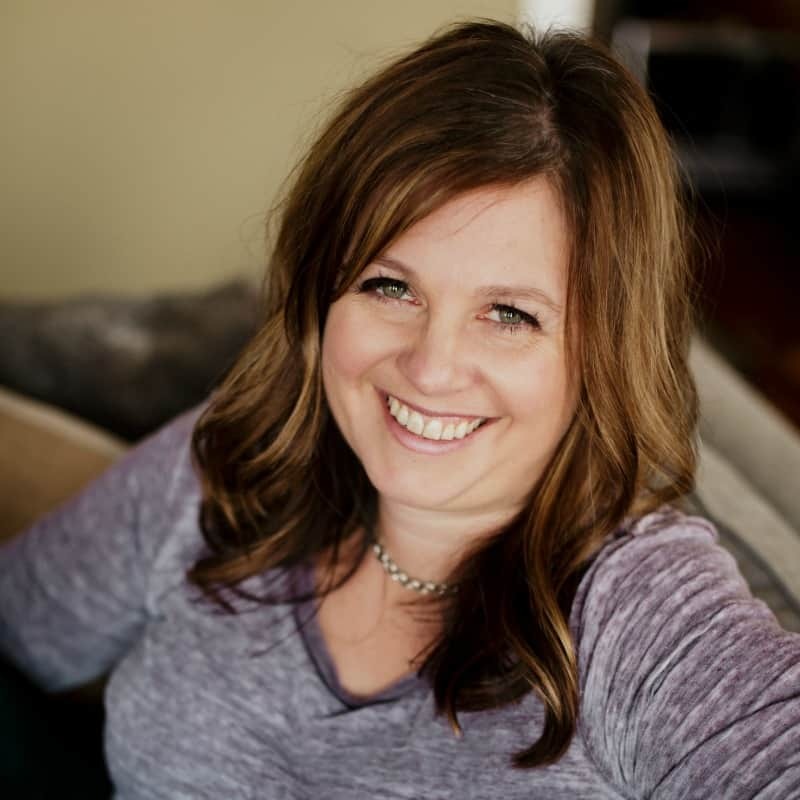 A very tender and moist beef roast made effortlessly in the crockpot. Combine dried seasonings in a small bowl. Massage outside of beef roast with seasonings. Place in the bottom of a 6qt slow cooker. Pour beef broth in the sides of the slow cooker. Add 6-8 pepperoncini peppers and 1/2 cup of liquid from the peppers. Place 1 stick of butter on top of the beef, cover and cook on low 8-10 hours or high 4-5 hours or until beef is fork tender. Remove beef from the slow cooker and using a fork, gently pull apart large chunks of beef. Stir into juices. Serve over mashed cauliflower and drizzle with juices from the slow cooker. Can this be made in an oven? This recipe can be made in an oven, covered with aluminum foil. Just adjust the cooking times accordingly.